Last year I was contemplating putting my daughter into childcare for my return to the full-time work force. Being a preschool teacher for many years, I knew that personal items can go missing on a daily basis. It was frustrating enough for us teachers, looking at ten pairs of Spiderman shoes in a size 7, and trying to figure out which child they belonged to. Now I am a parent and really get the full spectrum of the cost of raising a child. Of course you start out a school year with labeled clothing, shoes, and bottles, but labels made of masking tape and markers don’t last long. So I had remembered in my adventures as a teacher, that Mabel’s Labels, made our lives a lot easier. When I saw a parent arrive with their children’s items in those colourful, custom labels, I could breathe a sigh of relief. In fact they could only make life easier if they changed diapers and wiped runny noses too. So back to the beginning…I searched Mabel’s Labels on google, found them very easily, and within moments had placed an order for Skinny-Minis (custom sticky labels that are dishwasher safe) and Tag Mates (custom sticky labels for clothing that survive the washing machine). I knew the Skinny-Minis would be small enough to put on my daughter’s soothers and the Tag Mates would fit even the smallest tag on her favourite sleep stuffie. My order came in the mail, FREE of Shipping charges, later that same week. I went on the site again and shopped around. I soon found a link for something called the Buzzmama Program. This peaked my interest. 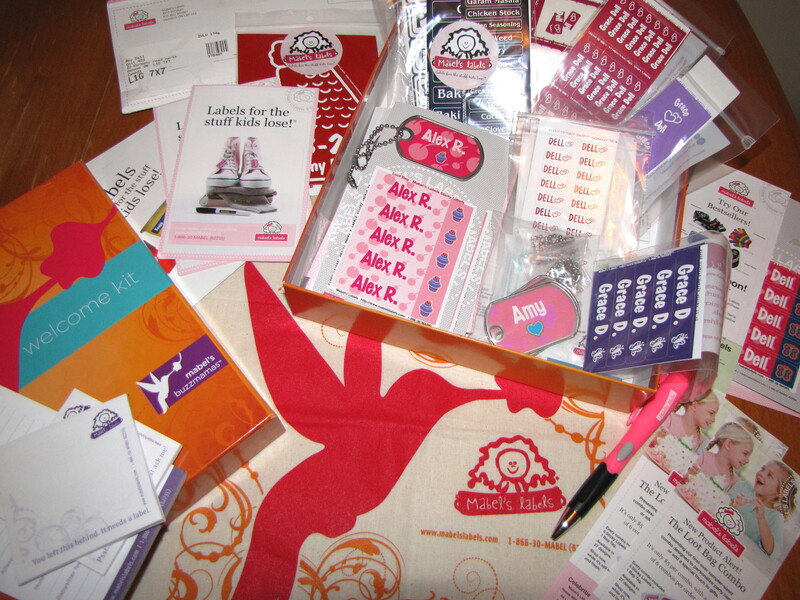 So I applied and was chosen into this volunteer, word-of-mouth ‘club’ to receive perks for spreading the love of Mabel’s Labels! Posted in Blah Blah Blogs, Products, Stuff I Love and tagged Canadian, childcare, clothing, company, custom, dishwasher, found, items, labels, laundry, lost, mail, online, organized, parenting, school, shoes, shopping, stationary, toys, work. Bookmark the permalink.